My camera settings are perfect. It’s daytime, so my ISO is low, my shutter speed is set to 1/500 and my aperture is at a sweet f/2.8. I let the camera hang around my chest and angle it towards the man leaning lazily on his moped. I don’t know a thing about him, not even his name, but with the light gently illuminating his face, I know he would make an excellent photograph. I look away from him as I press the shutter release, so as to not arouse his suspicion; he might not want me to take his photo. I can’t help but question whether I’m disrespecting or taking advantage of him. 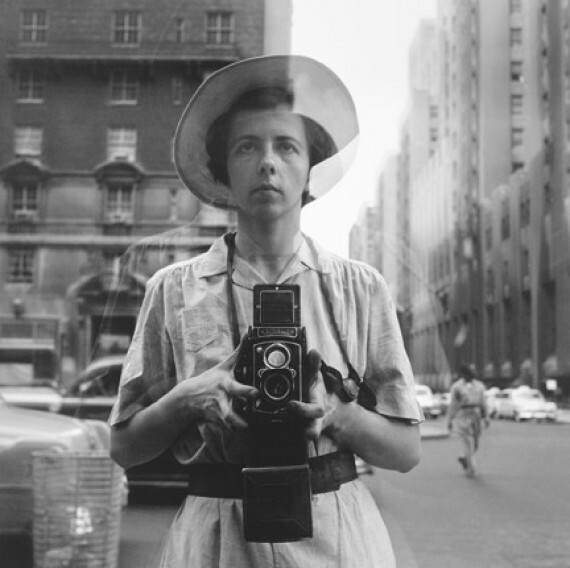 I remind myself how many of the great street photographer Vivian Maier’s subjects weren’t able to tell their stories. Maier crept across the changing face of America from the 50s to the 70s, working as a household nanny. She captured stirring moments in strangers’ daily lives and her photos documented America’s coming of age, whether she knew it or not. It makes me wonder about the stories we tell as photojournalists; if anyone knows the name of the dying soldier in Robert Capa’s iconic image from the Spanish Civil War, or sees Nick Ut’s screaming Vietnamese girl as anything more than an allegory for the Vietnam War. If the point of photojournalism is to tell a story, I have to ask – what story am I telling in images of Balinese people I don’t know and cannot communicate with? Photojournalists have long faced this ethical dilemma. In 1993, during the famines that struck down east Africa, a single photograph became the herald of that tragedy. 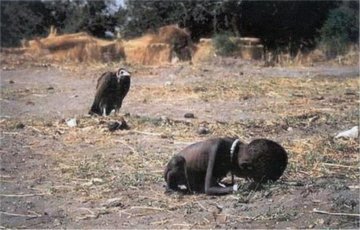 Kevin Carter’s image of a vulture edging towards a near-dead, emaciated Sudanese girl lying face-down in the dirt was printed on the front of The New York Times and spurred thousands to seek answers about her plight. Carter was awarded the Pulitzer Prize for the image. After it’s publication, he explained he’d waited 20 minutes for the vulture to move closer to the child as she rested on her way to a UN aid post before taking the shot. In the ensuing fallout, Carter was heavily criticised for not helping the girl, and the personal trauma he experienced eventually lead to his suicide. Despite his actions, or lack thereof, he still remained true to the photojournalist’s responsibility to document realities, to make the world aware of injustice. Ever since, journalists have been arguing the ethics of Carter’s image; should he have helped her to the aid post, and lost the chance to inform the world of the human tragedy occurring in east Africa? In the developing world, including parts of Indonesia, where many local families still reside in disparate conditions to our own, it isn’t the legality of taking photographs I’ve found to be the biggest quandary, though a respectful photographer should ask their subject for permission. The problem lies in the ethics of taking photographs of people, with or without permission, not knowing their whole story, or on a deeper level, not doing anything to make their lives better save informing those back home. The language barrier is one problem of course, but only as much of one as we allow it to be; people of diverse languages have been working around their differences for generations. I decided I should be following suit. I approached a group of locals who’d been sawing, hammering and piling stones into walls from sunrise to sunset, day after day, since I’d arrived in Canggu. The hostel I’d been residing in was separated from this dilapidated worksite by a small rice paddy that allowed me to witness their toil as I dragged myself from bed each morning. I greeted them with “Om Swastyastu!” only to get shaken heads as a shirtless man explained they were Muslim. I did a quick about face and tried again with “As Salaam Alaikum”. These families lived in the cramped, plywood, single-room bungalows at the rear of the construction site, with barely enough space to accommodate two mattresses let alone a family. To the side was a makeshift kitchen where one man stirred a wok full of vegetables emanating an entrancing aroma rich with spice and sweet onion. The rest reclined on wood scaffolding amidst nicotine clouds, taking a break from the morning’s work if not from the afternoon sun. Inside the bungalow, a few women sat on mattresses on the floor. Between multiple repetitions of greetings and thanks in Indonesian, I surmised they were building a home, as their ramshackle construction site was marked out with the skeletons of buildings that could only be houses. I showed them my camera, and instead of waving me off, I was inundated with smiles and an open invitation to document their families. The workers adopted poses and squabbled for my attention as I moved between the constructed jungle. I walked away around an hour later with a camera full of children’s smiles and gestures of thanks. This is where the realisation struck: it’s the motivation behind taking a photograph that determines the ethics of documentary and travel photography. As I looked back at the images later that night, I could barely remember any of their names. It was doubtful they recalled mine. If I had been truly prepared, I would have brought along a notebook. However, toiling under that blistering sun for hours a day, longer than any Australian tradesperson would, being paid far less and living in cramped quarters, I had images that showed these families were happy. I am guilty of taking a photo based on the aesthetics of the subject, and not seeking to build any kind of rapport. The natural composition of the man on the moped was too beautiful to ignore. He seemed pensive as he leaned on his bike, almost melancholy, and his eyes held a hundred stories. I wished for his portrait to speak for itself. Photographs show a happiness behind the adversity of their circumstances. They have work, food, shelter and cigarettes. Their story, like that of most people, is one of silver linings and dark clouds. Richard I’Anson is an Australian travel photographer, Canon Master and founder of Lonely Planet Images. He regularly travels to Central Asia on assignments and has encountered people of all socio-economic background. He says, “It comes down to the one-on-one scenario that you find yourself in as a photographer.” He recounts more times where people have consented to being photographed than not, and he puts this down to the artist’s demeanour, body language and attitude. Richard also says there is a stark distinction between travel and documentary photography. Travel photography can be a wily beast to wrangle. I’ve tried to approach it as a photojournalist, conscious of the responsibility to bring home honest images of Bali. Sometimes, ethical boundaries may need to be crossed if we, as reporters of news and the world we live in, are to provide fair coverage. I’ve realised it’s the motive that defines this boundary. Often, the most magical moments occur when you open up to your subjects, and in those moments is where true greatness happens. Those are the moments worth capturing.